well. I was gonna try and catch a nap to be more human for the rest of the day at work. now I see that hope was in vain. Yeeeees, it finally drops! My drive to Fear the Con is now complete. 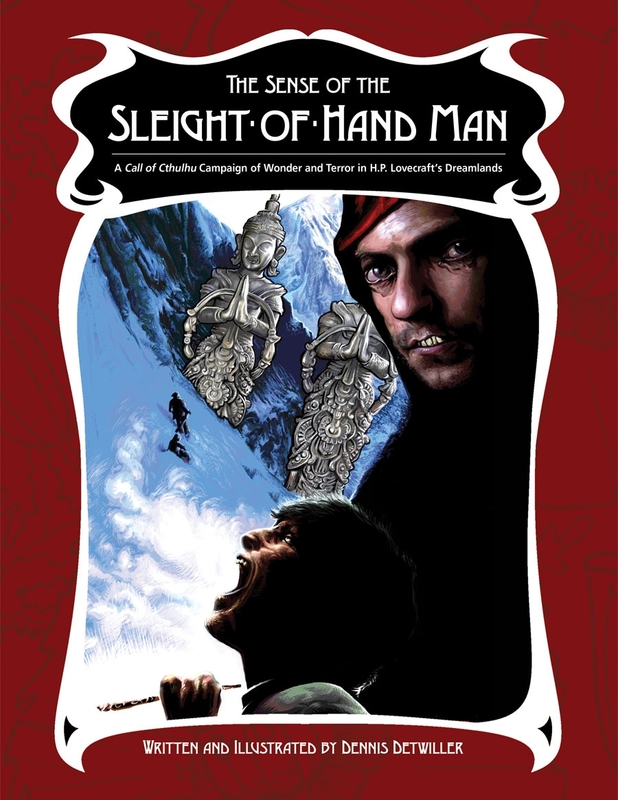 What is the sense of the slight of hand man. Is it sight or hearing or taste? What is it!?! A full length Cthulhu campaign? It’s going to be a wild ride! Time to grab the popcorn and start the Aaron’s-PC-Deathcount! Mitchum Cleary returns! Good job, David! kind of strange. I think the session had some of the same problems that I perceived reading the book, that it presents these very set (multiple) paths to use but doesn’t give a huge amount of information about any given one. the Dreamlands are so weird that I feel like it’s kind of hard for players to think out of the box on the GM, at least at first. unless a huge amount of visual description goes into areas, they just won’t really be able to imagine what’s actually there that isn’t explicitly stated. I remember reading the bit about stealing a Black Galley and how there was really no advice at all given on how to do it, just a little splash of information about what the galley was like. no, like, named characters, not much routine. the book, to my mind, lacks the quality of a set of fleshed-out adventures, and is more a set of interrelated suggestions, each of which requires a significant amount of GM cobbling to turn into an interesting, playable story. it lacks beats, might be the tl;dr critique. as opposed to the classic CoC campaigns, which spell everygoddamnthing out. guess we’ll see if that approach works! I think -I’d- have a hard time running it. probably the more Companions-style additions to the core content we get, the better. How many session did this campaign last? Thanks for sharing this campaign! I have read through it and want to run it, but I was waiting to see how Ross ran it first (as he is a skilled GM and I am a lazy oaf). One thing I was afraid of was that the 3 SAN checks in a row seemed VERY arbitrary and would frustrate the players. It doesn’t seem too annoying yet. I am also looking forward to hearing how the Notches are used. And props to Caleb for maintaining his character’s view of the land of Fancy. I demand MORE Sense AP!! Man, the Companions just popped right in there, I thought they’d be a bit more secretive for a bit. Also excited to see how the crew take this one, from what I recall it has a lot of ways to go and a lot of ways to end. I have been looking forwards to this one for ages, I can’t wait to listen to this. What are the companions ? You know, when I first heard the description for the companions before I realized who it was, I totally got this “Lutece Twins” vibe from them. But I suppose they would, wouldn’t they.